Since passion fruits contain a lot of seeds, I recommend using a high-speed blender like a Vitamix. You might get seed bits or a gritty texture if you use other, less powerful blenders. 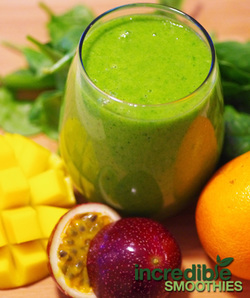 Start by adding the liquid to your blender, followed by the soft fruit. Add the greens to your blender last.